Your reward, if you're able to be awake by noon on Sunday. Listen, we're going through cupcake detox and it ain't pretty. But however much we try to hide from sugar, it just keeps finding us. Take this Sunday, for example. Gifford's Ice Cream is dishing out free sundaes on the first day of summer, in celebration of the new movie "(500) Days of Summer." 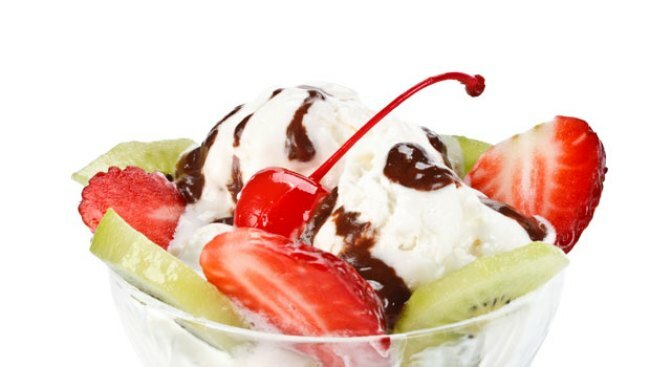 Appropriately enough, the first 500 people to show up at four Gifford's locations on June 21 will receive a free novelty sundae and a "(500) Days of Summer" promo item. The giveaway starts at noon. Please, everyone, EVERYONE, get in line ahead of us. It's the only way we're gonna kick this sugar addiction.